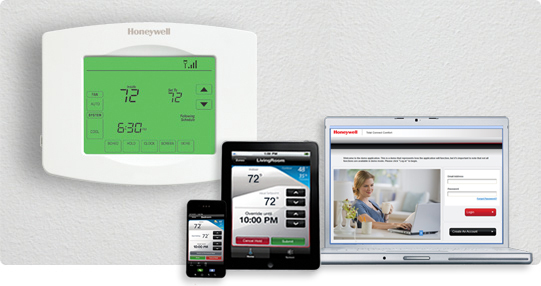 The newest and most advanced thermostat in the Honeywell line up connects to your home's Wi-Fi network so you have full control via your smartphone, tablet or computer anytime anyplace from anywhere in the world. Away on vacation? Driving up to the cottage? Forgot to turn the heat down? Forgot to turn the heat up? No problem when you have our new Wi-Fi Toch Screen Thermostat you are in the driver seat. Unlike some of our competitors we do not charge any monthly charges to provide you complete control of your thermostat from anywhere in the world when we use the NEW (RTH8580WF) . Imagine complete control from any Smartphone device which also includes your iPhone or Android device and it won't cost you one red cent. Nada, nothing zereo. Why would you pay a monthly monitorng fee for something you can get for free? your start time so that your home is at the desired temperature at the time you want, as opposed to firing up your HVAC system at the time that the programming is set to kick in. 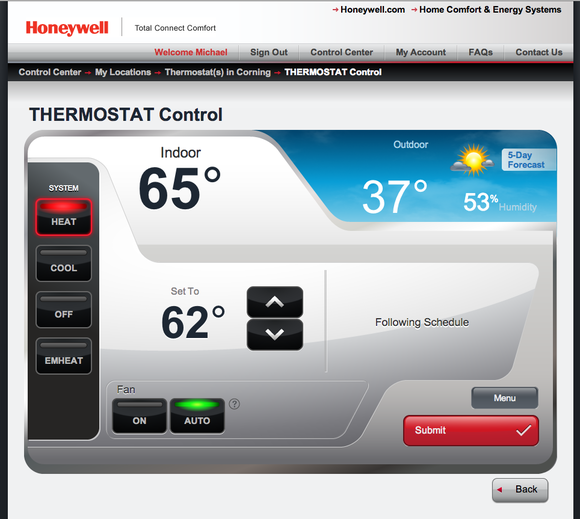 Pre-Lock will help you creat a Honeywell Total Connect Comfort account so you can start enjoying the benfits of your new thermostat within minutes. You will soon have the confort of control, from across the room around the world. Delay your furnace or air conditioner's start time and save energy. Using the free Honeywell app (for Apple® iOS™ or Android® devices), you can securely access multiple thermostats from various locations from down the street or half way around the world. Huge Energy Savings with proper programming allows for up to 33% on annual heating and cooling costs for your home. Let us arrange to install it in your home today, or take it home and Do It Your Self.